Extreame Savings Item! Free Shipping Included! 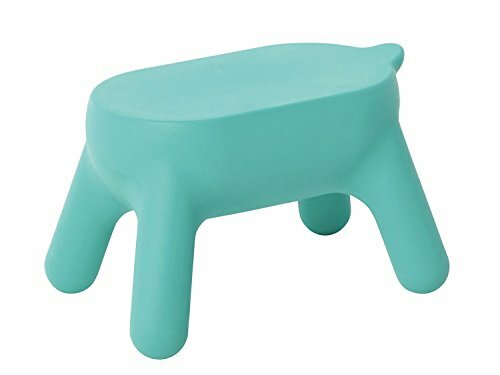 Save 46% on the Hasegawa Ladders PRL1.0-1BU Purill Step Stool, Mint Blue by Hasegawa Ladders at Indsight. MPN: PRL1.0-1BU. Hurry! Limited time offer. Offer valid only while supplies last. Meet Your Family’s New Favorite Friend. Using the highest quality Italian resin, Purill is ultra-durable yet light enough for whole family use. Easy to use: light weight, so you can carry it anywhere, anytime. Light enough for children to use. Sturdiness: even though it looks cute, it is built tough(maximum load 330 lbs). Safe enough for adults to use. Design: the form is not only attractive, but full of emotion. Wade with special attention to touch and feel. Quality: a high Quality product made with resin Molding technology from design superpower, Italy. If you have any questions about this product by Hasegawa Ladders, contact us by completing and submitting the form below. If you are looking for a specif part number, please include it with your message.